Let your child spend some time on the wild side! 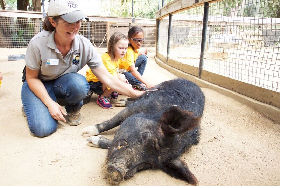 Santa Barbara Zoo’s camps offer children ages 3-12 the opportunity to explore animals and science in a safe, beautiful environment. 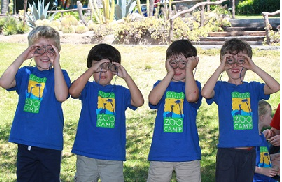 Zoo Camps are offered seasonally, and all camps have a lunch option available. It’s the traditional Zoo Camp you know and love. 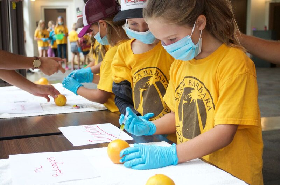 You’ll enjoy hands-on science activities, a guided Zoo tour, games, crafts, and up-close animal encounters (feeding opportunity or animal enrichment experience). Full Day: 9 a.m.–3 p.m.
Live a week in the life of an exotic animal veterinarian when you visit the Zoo's animal hospital and practice medical procedures. You're a zookeeper for the week and will assist staff in caring for some of the Zoo’s exotic animals. Monday, Tuesday & Wednesday: 9 a.m.–3 p.m. Train as a professional field biologist alongside the Zoo’s conservation team and learn about sustainable stewardship practices. This camp has a unique overnight schedule for Thursday–Friday. *NOTE: This camp has a unique overnight schedule for Thursday-Friday. 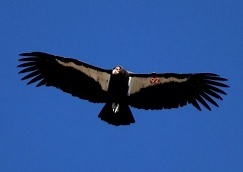 See above for times. Are you ready for a pet? Learn about animal care for pets at home, from the feathered and furry to the scaly and slimy. Join in keeper training sessions and build a terrarium for one of the Zoo’s animals. Do you know the difference between a mammal and a reptile? 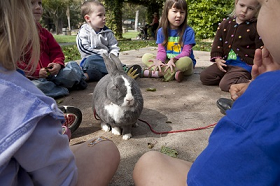 Find out through hands-on activities, up-close animal encounters, and zookeeper chats. See what cool skills each type of animal has while you explore the Zoo. 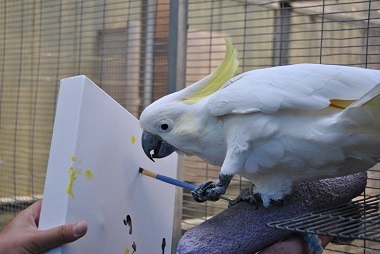 Animals are creative, and you can be too! Learn about animals that build nests, dams, and burrows in the wild and see Zoo animals who paint their own creations as part of their enrichment. You’ll also paint, sculpt, or craft your own creations. Some animals dig, build, and create structures in their natural habitats, and you’ll learn all about their awesome feats of construction. 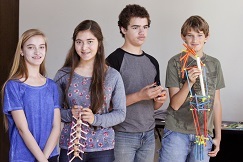 Put your thinking skills to the test and complete construction-related STEM challenges as a team.